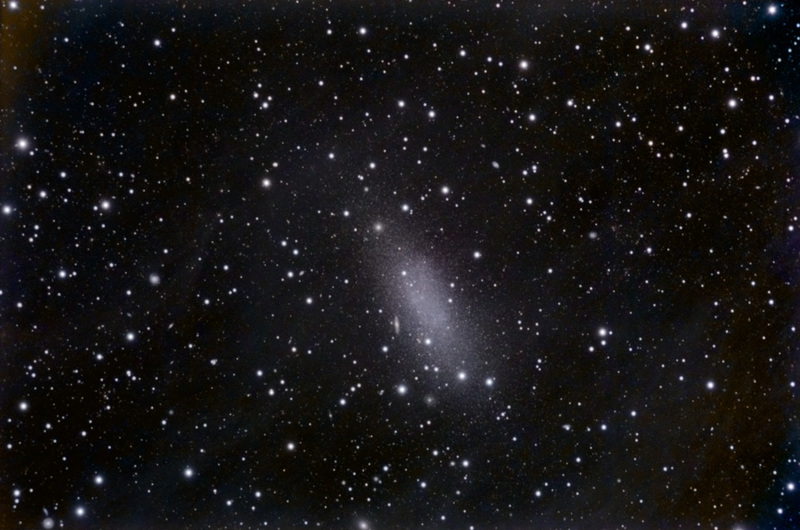 The Pegasus Dwarf Galaxy is part of the Local Group and is three million light-years from our galaxy. Technical Notes: Individual exposures were dithered using CCDAutoPilot2 and then sigma combined. The RGB image was created using Registar 1.0. Reduce Noise was applied to the dim portions of the RGB image.